NEW YORK CITY AND PALM BEACH, FLA. -- Two real estate investment trusts, NorthStar Realty Finance (NYSE: NRF) and Chatham Lodging Trust (NYSE: CLDT), have formed a $1.3 billion joint venture for 51 hotels known as the Innkeepers portfolio. NorthStar purchased a 89.7 percent stake in the joint venture from Chatham's previous joint venture partner, Cerberus Capital Management. NorthStar and Chatham will co-own 47 of the 51 hotels, which total about 6,100 rooms. Approximately 83 percent of the hotels are affiliated with the Marriott and Hilton brands, and the assets are located mostly on the East and West coasts. Chatham will pay approximately $341.5 million to Cerberus for the four remaining hotels: four Residence Inn hotels in Silicon Valley that total 751 rooms. Chatham plans to invest $59 million to redevelop the hotels, which will include new lobby and public spaces in each property. 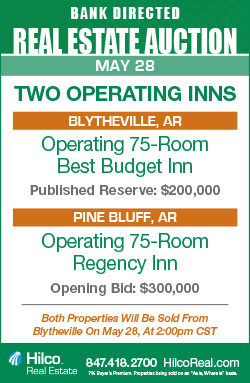 Chatham will also expand the hotels' room counts by 272 rooms combined. The U.S. economy appears to be gaining traction, boosting the outlook for the commercial property leasing market in the coming quarters, says Robert Bach, director of research for the Americas at real estate brokerage firm Newmark Grubb Knight Frank. Emerging from their winter hibernation, employers added 288,000 net new payroll jobs in April, according to the Bureau of Labor Statistics (BLS), easily beating economists' expectations of 220,000 jobs. The severe cold and heavy snow blamed for the meager U.S. GDP growth of 0.1 percent in the first quarter of 2014 is now a distant memory. The BLS also revised the February and March data higher by a combined 36,000 jobs, putting the labor market within reach of a new peak that would erase all recessionary job losses, according to Bach. 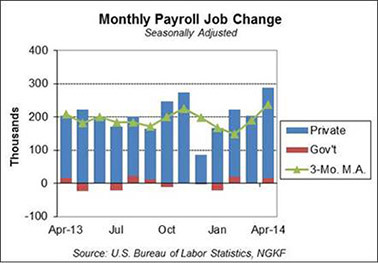 That new peak could occur as early as the next payroll employment report, due to be released by the Bureau of Labor Statistics in early June. Carolina Row at Crabtree Valley will feature 125,000-150,000 square feet of retail and restaurant space, a hotel and 700 residential units. RALEIGH, N.C. -- Trademark Property Co. plans to develop Carolina Row at Crabtree Valley, a mixed-use development on Glenwood Avenue in Raleigh. The property will feature 125,000-150,000 square feet of retail and restaurant space, a hotel and 700 residential units. There will also be a pedestrian/bicycle bridge connecting Carolina Row to the nearby Crabtree Valley Mall. Construction is set to begin in spring 2015, and the property is expected to open in late 2016. 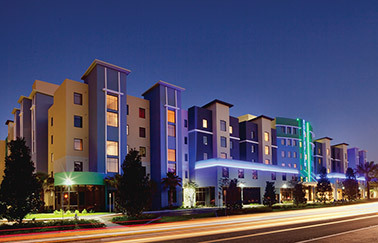 NorthView Student Housing is a 600-bed, 180-unit property located on the University of Central Florida (UCF) campus. OVIEDO, FLA. -- NorthMarq Capital has arranged $58 million in financing for NorthView Student Housing, a seven-story, 340,271-square-foot student housing community in Oviedo. The 600-bed, 180-unit property is located on the University of Central Florida (UCF) campus. The UCF Housing System operates the property and incorporates it into its inventory. In addition to the housing units, the development also consists of 40,000 square feet of space occupied by the Hillel Foundation for Jewish Campus Life and the Newman Catholic Student Center. Amenities of the property include a video game room, 24-hour fitness center, resort-style pool, lap swimming area with a Swedish sauna, sky deck with a tiki hut, outdoor sand volleyball court, life-sized chess board, computer lab, caf� and convenience store. Lee Weaver and Bill Hardman of NorthMarq Capital arranged the 15-year loan with a 30-year amortization schedule through a tax-exempt private placement bond structure. 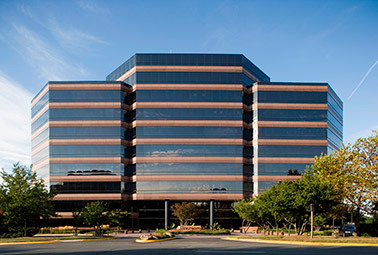 Fair Oaks Plaza is an eight-story, 179,282-square-foot office building located 20 miles west of Washington, D.C.
FAIRFAX, VA. -- Coretrust Capital Partners and Normandy Real Estate Partners have formed a joint venture, which has closed on its first acquisition: Fair Oaks Plaza in Fairfax. Fair Oaks Plaza is an eight-story, 179,282-square-foot office building located at the interchange of I-66 and Lee-Jackson Highway, about 20 miles west of Washington, D.C. 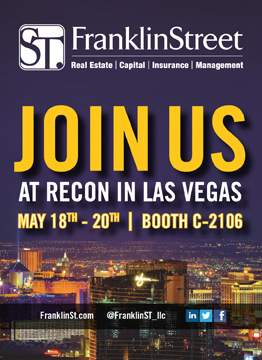 The Coretrust-Normandy team worked with the special servicer to purchase an existing mortgage note from a CMBS trust. 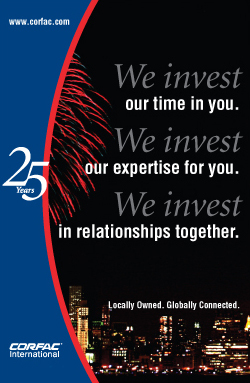 The property was 86 percent leased at the time of the sale to tenants such as HQ Global, NY Life Insurance, Computer Science Corp., Syska Hennessy Group, McCandlish & Lillard and Harrity & Harrity. The joint venture will manage the Class A office property, and Jeff Roman, Mike Pepper and John DiCamillo of CBRE will handle the leasing responsibilities. 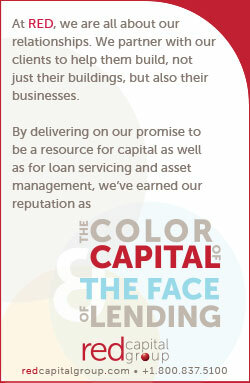 Eastdil Secured's Washington, D.C., office arranged mortgage financing through Citizens Bank, N.A. on behalf of the joint venture. Waterford Centre is a 91,285-square-foot office building located at 6205 Blue Lagoon Drive in the Blue Lagoon Business Park. 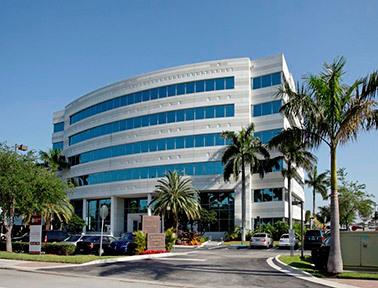 MIAMI -- New Boston Fund Inc. has sold Waterford Centre, a six-story, Class A office building in Miami, for an undisclosed price. 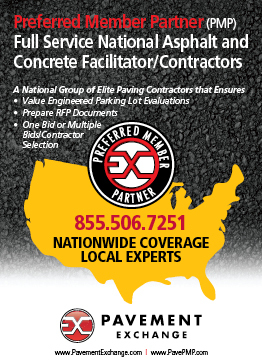 The 91,285-square-foot asset is located at 6205 Blue Lagoon Drive in the Blue Lagoon Business Park. Ivy Realty purchased the office building, which was 91 percent leased at the time of the sale to tenants such as McAfee, a subsidiary of Intel; Whirlpool Corp.; Travel Traders; Xerox Corp. and Remy Cointreau. 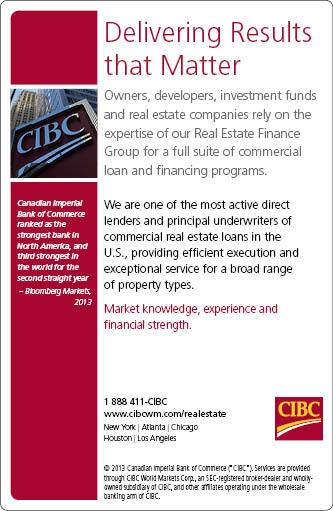 Christian Lee, Jose Lobon, Charles Foschini and Chris Apone of CBRE represented New Boston Fund in the transaction. 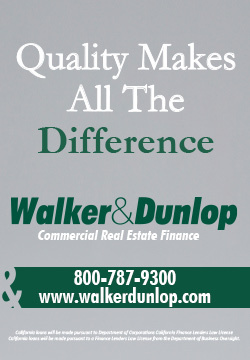 Danet Linares of Blanca Commercial Real Estate assisted CBRE in the transaction. The property -- to be rebranded as Regency Pines -- is a four-story, Class A office building in Cary's Regency Park. 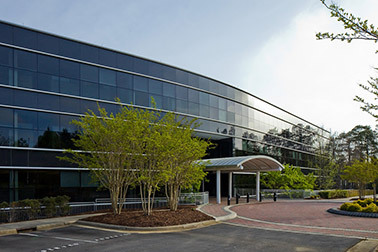 CARY, N.C. -- A joint venture between Intercontinental Real Estate Corp. and Spectrum Properties has acquired a four-story, Class A office building in Regency Park in Cary. Regency Park includes a dozen office buildings, three hotels, a 110,000-square-foot fitness club, retailers and upscale housing. The office property will be rebranded and marketed as Regency Pines. 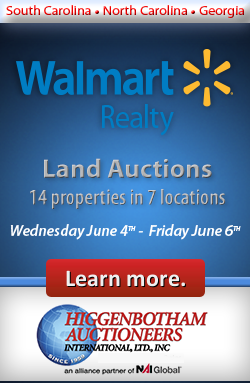 Spectrum also purchased 17 adjacent acres, which can house an additional 250,000 square feet of office space. Spectrum Properties will handle the leasing and management for the new property. 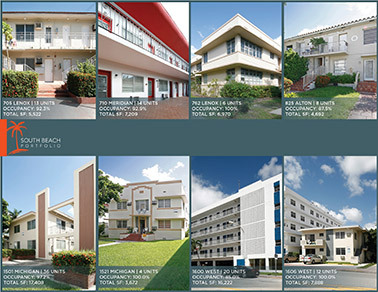 MIAMI BEACH, FLA. -- CBRE has arranged the sale of eight multifamily properties in the South Beach section of Miami Beach for a total sales price of approximately $22.2 million. Boardwalk Properties FL LLC purchased the 113-unit, 69,583-square-foot portfolio from Pepis Corp., Erogol Corp. and Nanshar Corp. The properties are located at 705 Lenox Ave.; 762 Lenox Ave.; 710 Meridian Ave.; 825 Alton Road; 1501-1521 Michigan Ave.; 1600 West Ave.; and 1606 West Ave. Calum Weaver led the CBRE team in representing the sellers in the transaction. Neil Rollnick of Hinshaw & Culbertson LLP provided legal representation for the sellers, and Marc Kleiner of Kleiner Law Group provided legal representation for Boardwalk Properties FL LLC. The 10010 University Plaza Drive location is the first Chipotle Mexican Grill in the Fort Myers area. 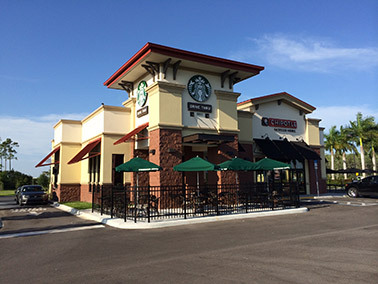 FORT MYERS, FLA. -- The Ferber Co. has developed Chipotle Mexican Grill and a drive-thru Starbucks Coffee in the Shops at University, located at 10010 University Plaza Drive in Fort Myers. The new property spans 4,327 square feet and is the first Chipotle Mexican Grill in the Fort Myers area. 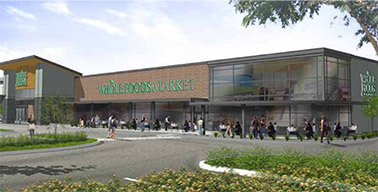 Whole Foods will occupy 36,200 square feet of the 108,000-square-foot Ambassador Crossing Shopping Center. LAFAYETTE, LA. -- The Ainbinder Co. has inked new lease agreements with several tenants for its Ambassador Crossing Shopping Center, which will be located at the intersection of Ambassador Caffery Parkway and Settlers Trace Boulevard in Lafayette. 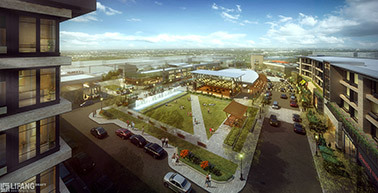 New tenants joining the Whole Foods-anchored center include J. Crew, Carter's Babies & Kids, Osh Kosh B'Gosh, Lee Michaels Jewelers, Chipotle Mexican Grill, Sleep Number, Massage Envy, Which Wich and Superior Nails. 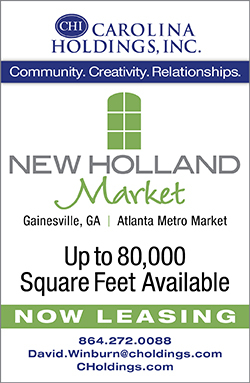 Whole Foods will occupy 36,200 square feet of the 108,000-square-foot shopping center. Have an event that you would to share with our readers? 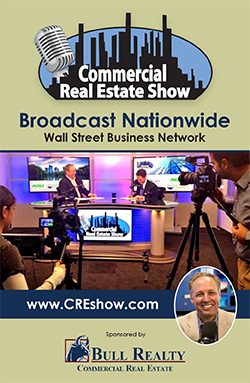 Send an email with the details to Southeast Real Estate Business editor John Nelson at jnelson@francemediainc.com. Copyright � 2014 France Media, Inc. All Rights Reserved. Copyright � 2014 France Publications, Inc., d/b/a France Media, Inc. All rights reserved. The opinions and statements made by authors, contributors and advertisers to Southeast Real Estate Business are not necessarily those of the editors and publishers. To unsubscribe, please click on the links at the bottom of this email.